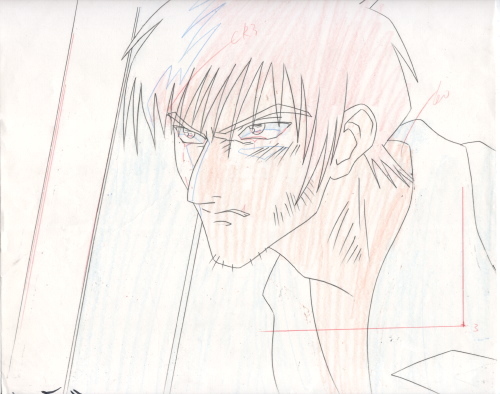 Added 8/30/2002 i never, ever thought i would own a cel from this episode, much less a cel from this scene and sequence, easily one of the most moving scenes in any anime i've ever seen and one of the few scenes that makes me tear up every single time i see it. i will never, ever part with this cel. thanks to those who proffered support during the acquisition period, i am grateful. i'll add a scene description, spoiler-proofed, later.